Following a sold-out show by Scotland’s Tannahill Weavers, it’s the turn of Michael McGoldrick, John McCusker and John Doyle to carry on the Celtic music theme being promoted by WemsFest. 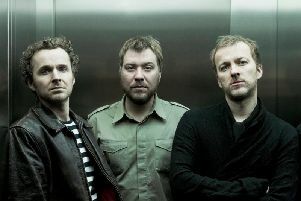 WemsFest director Mark Ringwood said: “All three musicians have been heavily involved in the three-week-long Celtic Connections Festival in Glasgow and then immediately set off on a tour of major UK concert halls as a live version of the successful television series The Transatlantic Sessions. “No sooner than that finishes, they carry on in their own right on a 21-date tour which takes them from Inverness to Paris and Rotterdam, and somewhere in that hectic schedule is a show at Emsworth Baptist Church on Monday, February 26.